MISSING: MY BOOGIE If found, please return to the Beach Rock Lounge. It will be direly needed for Afrodisiacs performance. 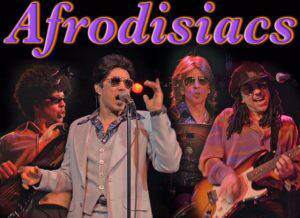 Far from a typical cover band, the Afrodisiacs put on a show that is a one-of-a-kind representation of the ’70s best music. Who says Disco is dead?